In early 2005, Toyota replaced the last Tamaraw (Revo) with the much more refined MPV-like Innova. This move upmarket opened up some room for a new entry-level people mover to slot below the Innova. In 2006 Toyota finally introduced its new entry-level MPV, the Avanza. It was developed by PT Astra Daihatsu Motor of Indonesia and marketed as both a Toyota and a Daihatsu in its home market. It retained the traditional front engine-rear drive layout of the Tamaraw but unlike its AUV ancestors, it was smaller, lighter and had a more car-like unibody construction. The styling of the first generation Avanza was simple and contemporary. The current second generation Toyota Avanza reached our shores in early 2012. The Japanese carmaker kept the same successful formula as the first Avanza but it further refined its little MPV. It retained the same familiar shape as its predecessor but it was now wrapped in new skin with styling that was aligned with other new Toyotas in the showroom floor. The 2015 refresh introduced a larger more prominent main grille and thinner more angular headlights. At the bottom of the bumper fascia is a full-width slim intake that connects the fog light housings on each corner. The rear is mostly unchanged but it did receive some subtle updates like the redesigned taillights and a new license plate trim piece. Like its exterior, the second generation Avanza s interior was given a full makeover. Its dashboard was now more modern, thanks to its sharper lines and added trim detailing. During its 2015 refresh a 6.2-inch touchscreen infotainment system was added on higher variants. Toyota also improved the vehicle s NVH levels during the update. The Avanza s exterior may be compact but it features an interior big enough to accommodate up to seven passengers. Its long 2655mm wheelbase made it possible for the Japanese carmaker to install a third row. The rear most seats can be folded to expand cargo space. Seven-seater variants have a total of fourteen cup and bottle holders, the base 5-seater variant get eleven. All Toyota Avanza variants have standard dual SRS airbags, anti-lock braking system with electronic brakeforce distribution and three-point seatbelts for all passengers. It is also equipped with ISOFIX child seat anchors. 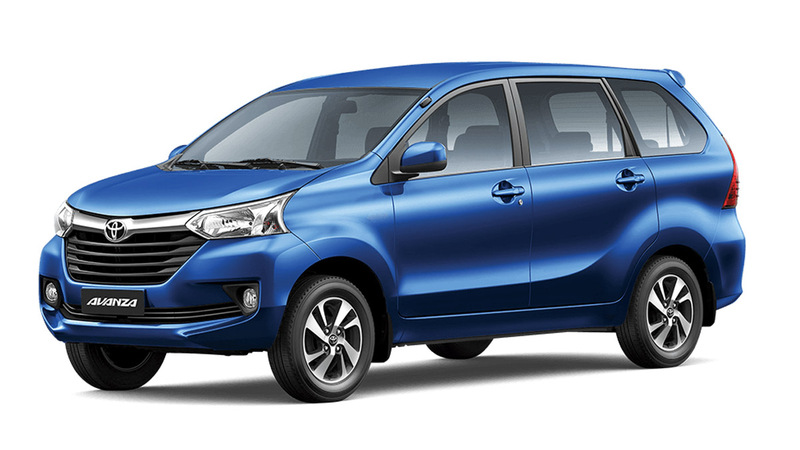 Powering the refreshed Avanza are updated DOHC gasoline engines that now feature Dual-VVTi. The 1.3-liter mill now makes 95hp and 121Nm of torque while the larger 1.5-liter motor now makes 103hp and 136Nm of torque. Both powerplants can be paired to either a 5-speed manual or a 4-speed automatic transmission. Like the models before it, it retains its rear-wheel drive layout. The Avanza features independent MacPherson strut front suspension and a coil spring live axle rear suspension with trailing links and a Panhard rod. All variants get vented front vented disc brakes and rear drums. Rack and pinion steering with electronic power assist system is standard. For those looking for an extra shot of sportiness, Toyota Philippines introduced the Veloz variant in 2017. It comes with a unique fascia, sports trim, and a black fabric interior.